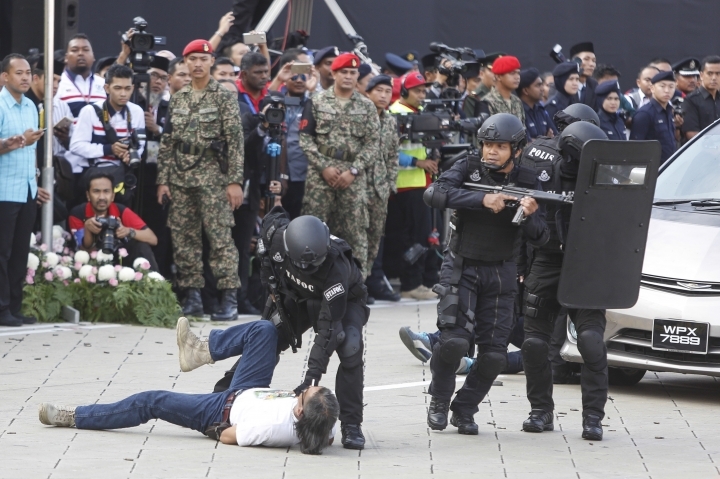 KUALA LUMPUR, Malaysia — Malaysian police said Wednesday they had foiled possible attacks on the eve of the country's Independence Day with the detention of three suspected Islamic State members. National police chief Khalid Abu Bakar said the three men had planned to attack entertainment centers in Kuala Lumpur, a Hindu temple that is also a popular tourist destination and police stations with grenades or firearms on Tuesday. 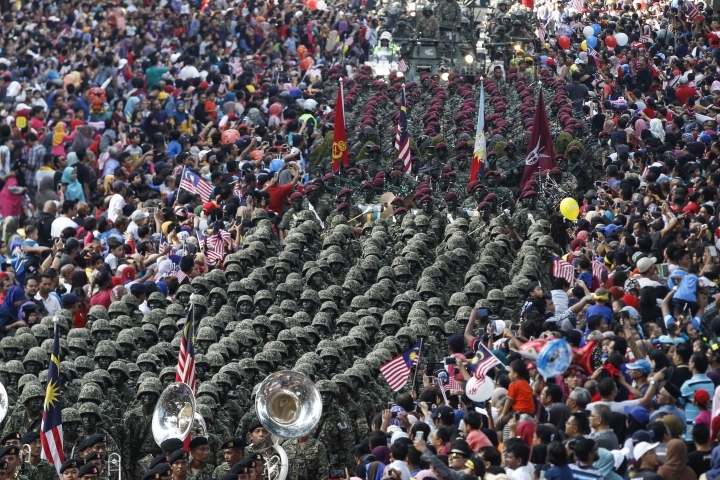 Malaysia marked its 59th National Day on Wednesday with a grand parade in the city. Khalid said the men, detained in a three-day operation from Saturday, had received orders to launch attacks from Muhammad Wanndy Muhammad Jedi, a Malaysian fighting with the Islamic State group in Syria. Police also seized a grenade and a handgun with 24 bullets from one of the suspects. Khalid said the trio — a truck driver, a butcher and a drink seller — had planned to fly to Syria to join the Islamic State group following the attacks. Police had earlier said that Muhammad Wanndy was believed to have ordered a grenade attack in June on a bar outside Kuala Lumpur, marking the militants' first attack in the country. Muslim-majority Malaysia has detained 200 suspected militants over the last three years, and police raised the security alert level earlier this year following attacks abroad.